Yarmouth or Great Yarmouth is a Norfolk town located at the very mouth of Yare River. The seaside resort has been popular since the 1760s, and it has managed to maintain its reputation as a favourite beach and family destination. This elegant town is located in Norfolk, 20 miles east of Norwich England. Book the best b&b in Great Yarmout and cheap hotel deals. Many properties are set in fine Victorian town houses and are family run. A full English breakfast is served in the morning. 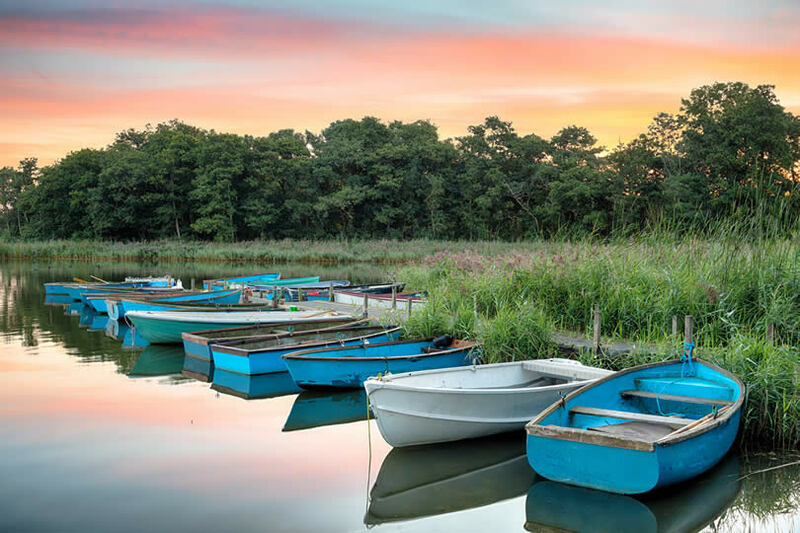 From miles of sandy beaches to the picturesque Norfolk broads, small beach side cafes to award winning restaurants and visitor attractions in abundance. Visit the new Yarmouth Eye, Sea Life Centre, pubs, clubs and seafood restaurants. Great Yarmouth is a seaside resort since the year 1760 and has plenty to offer for all ages. Before developing as a seaside resort, Great Yarmouth was predominantly a fishing town. Herring fishery was vitally important for the local economy, but it experienced a steep decline in the second half of the 20th century. Today, the industry can be declared extinct. Oil was discovered in the North Sea in 1960, which led to the revival of the town. Today, local authorities have started putting emphasis on the use of renewable energy sources. Yarmouth maintains its reputation as a beach destination, and visitors continue travelling to the Norfolk resort every year. 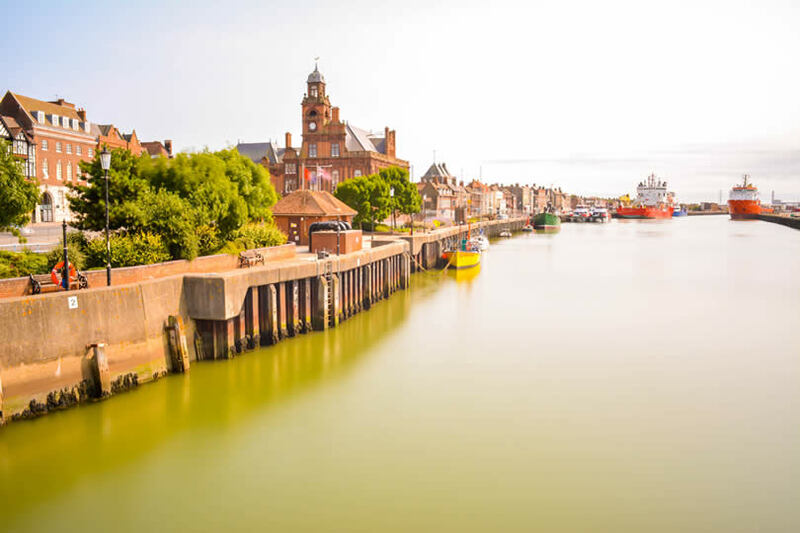 Some of its most popular attractions include the main tourist sector on the seafront, the narrow streets, the Great Yarmouth railway station and the 13th century Tollhouse with its spooky dungeons. It is one of England’s premier seaside destinations with fun for everyone. Search for the best and cheapest guest houses or b&b’s and seafront hotels convenient located for Britannia Pier, the town centre and the beach, and ideal located for Caister Soul weekends, race meetings, the heliport, restaurants and local attractions. The beaches are spectacular and fish and chips served in town is amazing. The beautiful Norfolk countryside features traditional old windmills, wind pumps and the cruisers on the rivers. Great Yarmouth is very easily accessible by road. Some of the routes include M11 and A12 from London, as well as A47 and A14 that connect the resort to the North and the Midlands. Train transportation is available from London, and the journey continues for approximately two and a half hours. Connecting train services are available, making this seaside town accessible from other parts of the UK, as well. Norwich International Airport is the one located closest to Great Yarmouth. The airport is only a 35-minute drive away, and it services UK flights from various large cities like Bristol, Glasgow, Manchester and Aberdeen. Upon arrival, you will find the local map of Great Yarmouth seafront and the town centre area. Such informational materials are available at the receptions of all the resort’s hotels. A popular tourist spot, Yarmouth has cheap B&Bs, family rooms and well priced hotels. The visitors that are interested in more sophisticated accommodation will be pleased by the resort’s diversity, as well. The three-star Rembrandt hotel is one of the most affordable. The bed and breakfast is located right next to the seafront and the town centre. The Marlborough is another inexpensive hotel in Great Yarmouth. The hotel is located in the vicinities of Britannia Pier and the town centre. Visitors that are interested in luxury holidays can choose Andover House or The Bromley. Andover House is a five-star bed and breakfast that is family-run. The hotel has some beautiful rooms located in a spectacular Victorian building. The Bromley is also located in the central part of the resort, and it has a free parking lot and Wi-Fi internet. Individuals interested in booking family rooms can explore The Shrewsbury’s offers. The four-star family friendly residence is located a walking distance away from the sandy beach. Family units consist of two rooms, and the hotel has its free parking lot, as well. Want to find out more about Great Yarmouth accommodations ? Looking for a swimming pool, a spa centre or a hotel that is located in a particular part of the resort? Explore all of our offers to find out more about the possibilities. 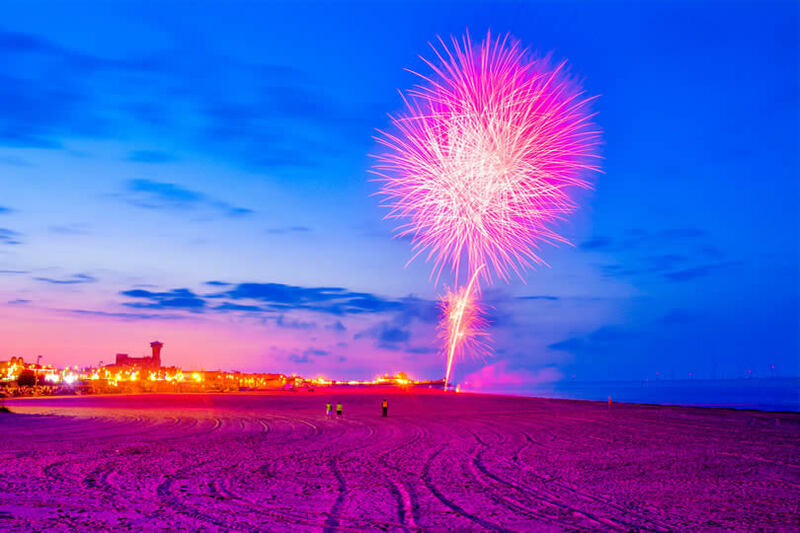 Great Yarmouth has over 15 miles of sandy beach, from Winterton-on-Sea in the north to Hopton-on-Sea in the south. The picturesque coastline has wide sandy beaches, sand dunes and cliffs. Lots of entertainment can be found along the seafront. Pleasure Beach to the amusement park is free. It features many rides and attractions. You can ride with tokens, pay as you go, or buy all day wristband. From the main train station, Great Yarmouth Railway Station, there are frequent train services to Norwich, Lowestoft, Sheringham and Cromer. Intercity services travel to London Liverpool Street railway station. Other rail connections are available from the Midlands, the North of England and Scotland, via Peterborough, Cambridge city center and Ely. From Norwich you can also travel and stay on a budget in Manchester city centre, Nottingham city center, Peterborough in Cambridgeshire and Liverpool Lime Street station (see hotels and b&b’s nearby). This seaside holiday town is located in the county of Norfolk, on the eastern side of Norwich. The capital city of London (see b&b’s) is approximately 120 miles away. The car and passenger ferry and cruise port of Harwich in Essex, is about 60 minutes drive away. Tourists and visitors willing to fly to town can do this by flying to nearby Norwich International Airport. The airport is about 35 minutes away by car. From Norwich airport you can fly both domestic or international. The airport can directly be reached by plane from among Manchester, Bristol, Edinburgh Turnhouse, Aberdeen Dyce and Glasgow in Scotland. Very interesting museum gives a really interesting view of Great Yarmouth and its history. See Summer and Christmas shows with fascinating acts and clowns at the Hippodrome Circus. Suitable for all the family. Theme Park with a fantastic wooden roller coaster. Gorleston is a lovely and clean beach. Safety flags are showing safe swimming areas. There is a great promenade to walk along, several excellent restaurants, souvenir shops and amusement arcades. See plenty of sealife. Fun for the entire family. How to get to Yarmouth ? Beautiful golden sands, amusements, donkey rides, boat trips to see seals or The Broads are all available. The town is a good base from which to explore the Norfolk Broads. Find your bed and breakfast : stay overnight near miles of lovely sandy beaches. Some guest rooms offer splendid sea views. Restaurants, pubs and shops are located within close distance.